Absa credit card information at your finger tips. ABSAlutely amazing. 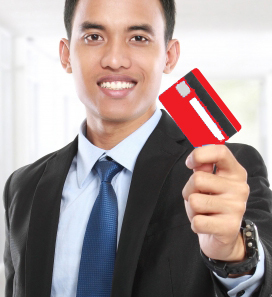 If you’re getting a credit card, it helps to know it’s coming from a reputable source. Look no further than an ABSA Credit Card. Absa Bank Limited is part of the Barclays Africa Group. They offer a host of wealth management products and services as well as investment banking in South Africa and Namibia. With their purpose being to act ethically, an ABSA Credit Card can open the door to everyday purchases, and to also build a strong credit history. furthermore, the beauty of a credit card from ABSA is that you can use it worldwide. ABSA offers British Airways, Avios and Virgin Money credit cards as well. The cards reward you when used to pay for purchases or to book flights – local or international. There is also the Absa Student Credit Card which helps students build their banking profile. If you are a registered full-time student and you get an allowance of at least R800, this card will suit you. ABSA Credit Card – Gold or Platinum? Not everyone, however, can just apply for Gold or Platinum card – there are certain criteria which need to be met to own one of these cards. If you’re interested in any one of these credit cards you can always have an ABSA consultant to advise you on which card meets your needs. Call them on 0861 462 273 or 0861 114 411. Alternatively, email them at contactcard@absa.co.za to get one of these cards and avoid carrying cash with you that may well end up being stolen.